October | 2012 | GoWests! Our time in Cambodia ended on such a high note! 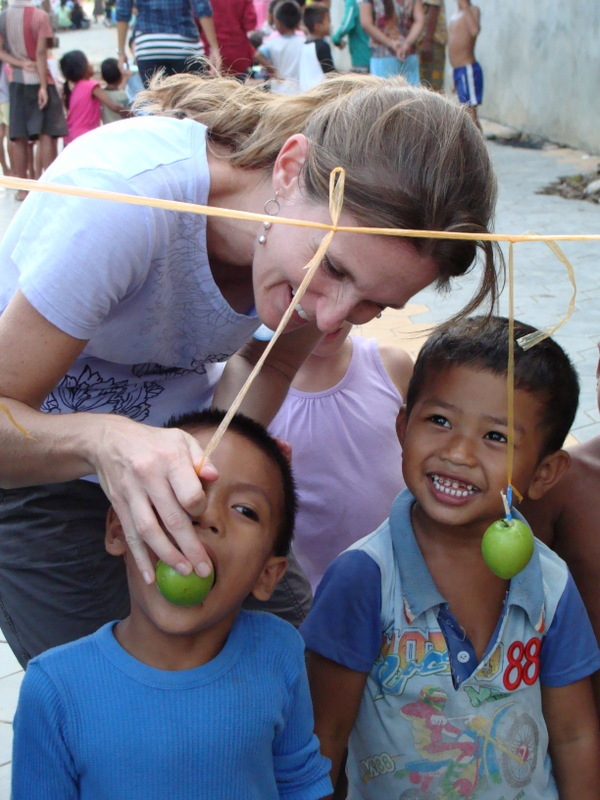 So much was accomplished in the lives of the Equip group (42 people serving throughout Southeast Asia). Our work there was incredibly rewarding- seeing fruit daily in lives of leaders and staff that we know are already multiplying into others. But it was terribly sad leaving our close friends and co-workers. Certainly our hardest departure, as God has knitted our hearts with so many in the region. There are piles of things to be thankful for, and one is our prayer and financial support team. Thank you. We have made a big impact together! We were told by Cambodians, Vietnamese, and Thais, that the fruit of the last 2 months of training will be seen for years to come. We have done well. One highlight came through our mode of transportation – the TukTuk. 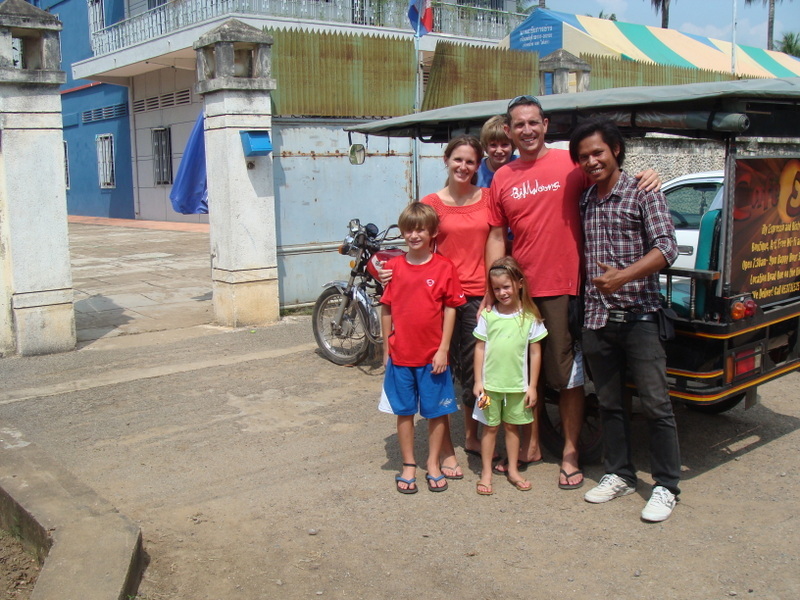 A young man called Borat was our TukTuk driver….and he became a Christian! After he had been driving our family around Battambang for several weeks, Jeremy stayed up late one night talking with him and then a couple days later, Jeremy and some friends met with him and he committed his life to Christ! People have been witnessing to him for a while already and Jeremy got to be involved in the harvest! Borat shared with his Buddhist Mom, and she is accepting his decision. This is so rare, and so we know she is coming to Jesus next! Here we are with Borat, our brother in Christ! Another highlight was the outreach we did in a nearby slum. People came to know Jesus and felt the love of God for the first time. One woman in her 70’s has decided to follow Jesus…because when some Equip participants prayed for her, she was healed of blindness! Following are some photos from this slum which convey more than words! Samuel making balloon animals for the kids in the slum. 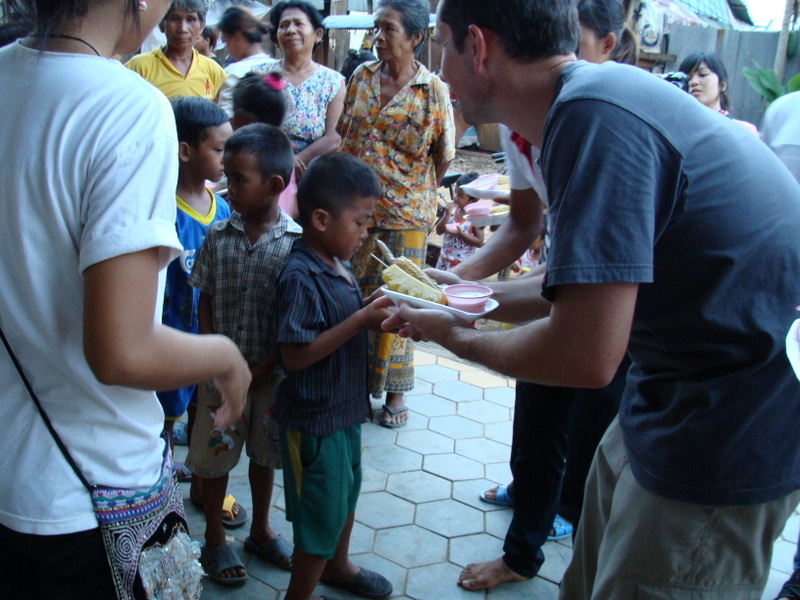 We handed out plates of food to all who came to the gospel presentation. It was sweet bbq corn, sweet pineapple, and sweet coconut jelly. I loved it because they were hearing sweet news about a Savior who loves them! And now a couple family shots…. 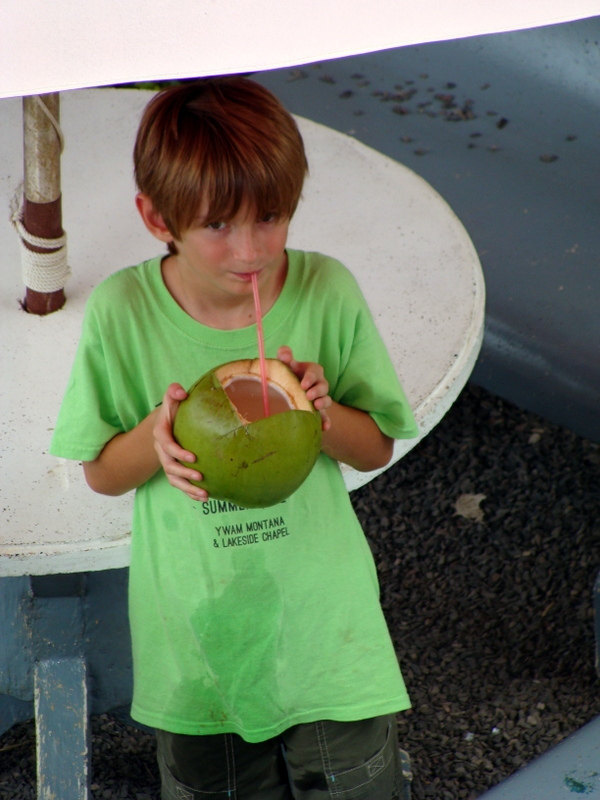 A Khmer friend climbed a coconut palm and gave one to Joel…who loved it. 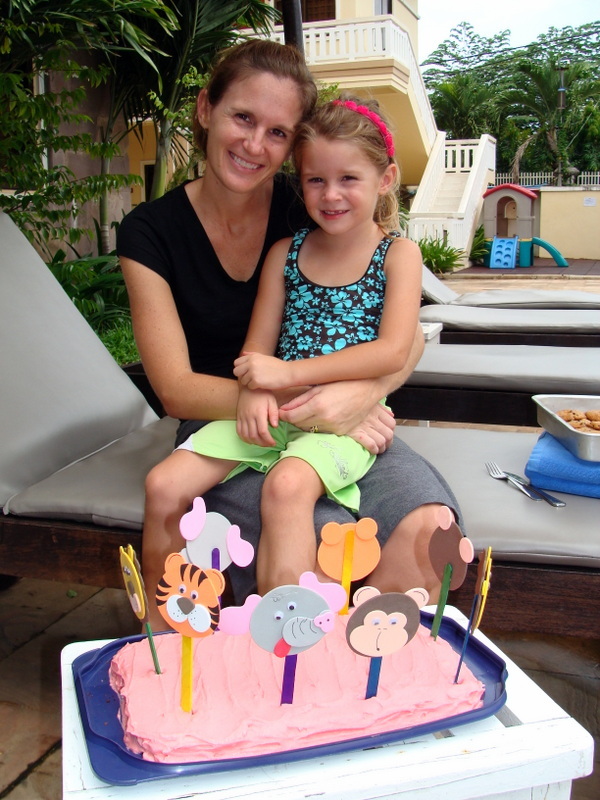 God was absolutely faithful to our family and to the people he loves in Southeast Asia. Thanks for being our friends and for being committed to the gospel of Jesus Christ. It truly is transforming people and nations!